Being off to college for the first time can be an exciting proposition but it is one that can turn ugly if you are accused of breaking the law such as being a minor in possession of alcohol. It might seem like your college campus is immune from criminal allegations but if you are caught with alcohol and you are not yet 21, you could be facing criminal consequences. A Northampton lawyer can help you. Whether it happens at a dorm or frat party or while you’re out with friends, knowing that this is a crime that carries penalties should remind you of the benefits of hiring an experienced alcohol criminal lawyer in Massachusetts. Don’t blow off the charges or avoid attending your court date, since more serious issues may apply if you don’t take the case seriously. Minors in Northampton, Massachusetts are not allowed to attempt to purchase, to arrange for another person to purchase or to purchase alcohol liquor on a minor’s behalf. Minors are also prohibited from knowingly transporting, carrying or possessing alcohol or making false statements about their age in order to attempt to obtain alcohol. 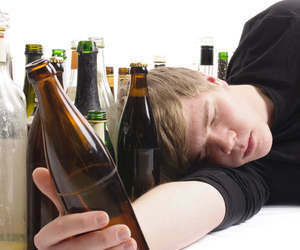 The convictions for the Massachusetts minor in possession of alcohol law is a misdemeanor, however, it can carry fines that are higher for second or subsequent offences and you could lose your right to drive for up to 90 days, if you are charged with possession, transportation or carrying alcohol. If you are accused of arranging, purchasing or tempting to purchase alcohol or using false identification, this carries a higher fine of up to $300 and you will have your license suspended for 180 days. Furnishing alcohol to a minor, fraudulent identification and other issues can increase the potential consequences of your crime. If you have been accused of being a minor in possession of alcohol or any of the related crime outlined below, you need a criminal defense attorney. Do not assume that because you are a college student that the authorities will go lightly on you. They pursue these kinds of cases aggressively and may do everything possible to obtain a conviction. Because of this, you need to respond promptly with the services of an experienced defense attorney who has a willingness to explore all possible avenues for resolving your case.